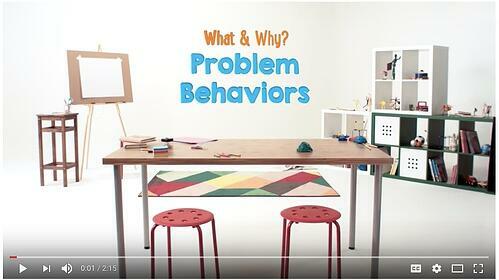 What if you could significantly reduce behavioral issues at your school? Even better—what if you could identify students at a higher risk of committing infractions before they occurred and prevent them from happening in the first place? Social and emotional learning (SEL) has been proven as an effective way to help improve student behavior, saving teachers and administrators time and stress. One school district in Texas even saw a 74% decrease in out-of-school suspensions at their pilot schools after they implemented a SEL program and began measuring students' social and emotional skills. Want to learn how they did it? Read more. NEW! Here's a great resource to help you and your staff reframe mindsets around student behavior. It’s easy to label negative behaviors as “problems,” especially when our time is stretched thin. 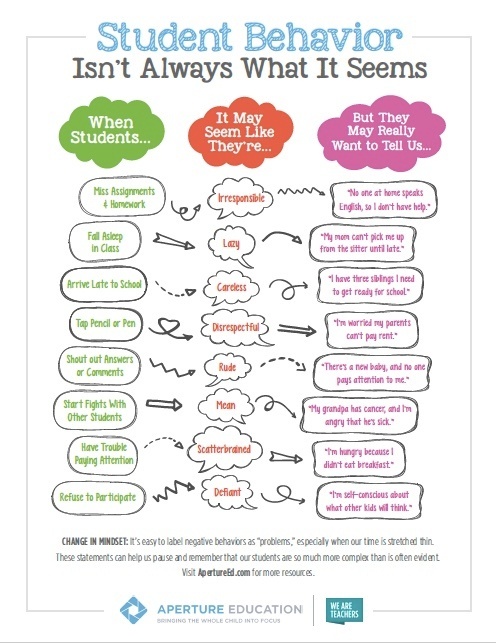 These statements can help us pause and remember that our students are so much more complex than is often evident. Download the poster here and hang it in your office. We'd love for you to share this poster with your staff, too. It's easily printable as an 8.5x11 poster and can be framed and displayed for all to see! In this short video from SEL curriculum provider, Committee for Children, you'll learn how social and emotional learning can help students with behavioral issues address those issues and build stronger self-management and relationship skills (Click the video below to watch). In a recent study, students in the Need for Instruction range on the Devereux Student Strengths Assessment-mini (DESSA-mini) at the beginning of the school year were 4.5 TIMES MORE LIKELY to commit a serious behavioral infraction by the end of that school year, compared to their peers. The one-minute universal screener DESSA-mini can help identify students with a Need for Instruction and encourage school staff to intervene before challenging behaviors occur. Aperture Education is excited to offer a well-rounded, strength-based approach that focuses on measuring, building, and sustaining students' social and emotional skills. The DESSA Comprehensive SEL System, featuring the Devereux Student Strengths Assessment (DESSA) and DESSA-mini can save you time and stress. Screen in 1 Minute: The DESSA-mini enables teachers and staff to screen an entire classroom or group of students in one planning period (less than 45 minutes).Track SEL skills and behaviors in real-time. Monitor Progress: Consisting of four different, yet equivalent, 8-item forms, the DESSA-mini provides a simple and effective way to track changes in social and emotional competence over time. Decrease Referrals and Suspensions: Using the DESSA-mini followed by the full DESSA, schools can accurately pinpoint students' social and emotional needs and support those students to encourage positive student behavior. Use Data to Inform Practice: Schools can analyze student behavior data on an individual, class, or school-wide level to make sure their interventions are actually helping students grow. By leveraging the DESSA System, schools can now focus on supporting a healthy climate for learning with social and emotional learning. Fill out the form to the right to schedule a demo.